MBBS - Thanjavur medical college. MD - Gandhi medical college, Bhopal. 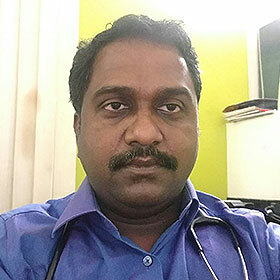 Specialist in treating Stomach, Intestine, Liver and Pancreas related problems. Special interest in Therapeutic endoscopy and ERCP for bile duct and pancreas related problem. Publications: 3 International journal and national journals. Conducted 2 Annual Gastroenterology conference and many CME in Puducherry. Copyright © 2017 NMC Pondy. All Rights Reserved.